The number of smartphone & Mobile Apps users are constantly on the rise in India and worldwide. In India, it is estimated to reach 340.2 million in the year 2017. It is almost like a huge technological tidal wave that is sweeping away everyone across the length and breadth of the country. This is particularly good news for the educational sector as it promises better, more efficient and more creative ways to impart education. In this article, we will see how mobile apps can help students learn more effectively and efficiently. Research has proved that using mobile apps is one of the fastest ways to find information and communicate with fellow students and teachers. Students are no longer confined to a classroom or computer desk. They can search for information, general or specific to a course, on the run. Getting instant feedback from supervisors and teachers, getting doubts resolved quickly using forums and discussion boards, taking online tests, submitting homework assignments in the blink of an eye using email, etc. are some of the ways in which a mobile app can facilitate a better and faster learning experience. You don’t need to carry all your lecture notes and text-books with you wherever you go. A simple mobile app customized to your course helps you keep track of all your learning material and makes it available whenever you want. 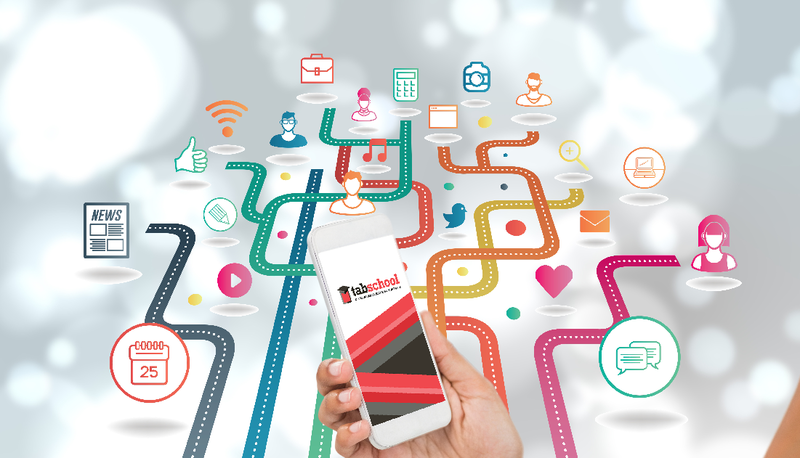 The interactive nature of a mobile application fosters proactive learning. Students are no more just passive learners. They can choose what they want to learn, where to find information and when and how to communicate with teachers and colleagues to get their queries resolved. All this makes them into smarter and more responsible students. Sky is the limit to the many innovative ways in which mobile applications can be used to improve learning experience. Teachers can record videos and/or audios of their lectures which students can watch or listen on their mobile apps while away from the class. Teachers can use the audio recording feature on mobile apps to offer feedback to student work. This makes the feedback sound more personal and students love it. Teachers can encourage students to create short videos or audios of their research. Besides making it much more interesting, it will also discourage them from just copy-pasting from other sources without really understanding the subject well. Mobile apps can be used to create stimulating quizzes, surveys and polls to drive students’ participation. It’s an entertaining way to gather feedback about students’ progress, preparation and opinions which can be effectively used to formulate better teaching strategies and methodologies. Students can participate in forums and chat with fellow students on different topics related to their course. Teachers too can join in the discussion to facilitate and moderate the process. Mobile apps are changing the face of education. So if you are one of those forward-looking educational institutions, this is the right time to jump on the digital bandwagon and help your students learn effectively using mobile apps.